The 2016 PATH Intl. Conference and Annual Meeting, presented by title sponsor Purina, is November 2-5 in Williamsburg, VA. Click here to register and pick your sessions. We anticipate high attendance and sessions are already filling up, so register soon! Are you still on the fence about attending the conference? Here are just a few of the many reasons to join us in the Revolutionary City. 1. The PATH Intl. Conference offers more than 50 education sessions, including the horse expo. This gives instructors all the CEUs they need for the year--knowledge to take home and put into practice. 2. Exhibitors! Many of them offer special discounts to PATH Intl. Conference attendees. Be among the first to see and try out new products, and talk to exhibitors about their services. This year we will see exhibitors who are new to PATH Intl. as well as many of our favorite regulars! 3. Get a chance to meet PATH Intl. Sponsors in the exhibit hall and at networking events. This is your chance to thank them for sponsoring PATH Intl. and to tell them about the wonderful work done at your centers. 4. The holidays are right around the corner, and what better time to do some holiday shopping than at the PATH Intl. Merchandise Booth or the silent auction? There are always a few new products people go crazy for (including an Equicizer Classic in the silent auction--you know you've been wanting one for your center)! You are sure to find something for your volunteers or participants. And don't forget to pick up something for yourself--you've earned it! 5. We work hard to keep the conference affordable, and it is a great value! With the education sessions, horse expo, networking events and meals, the conference is valued at $2,947 per person. You can enjoy all of this for $670. There are many more reasons to attend the conference: Col. Gregory Gadson as keynote speaker, the general session with a panel of esteemed PATH Intl. professionals discussing equine welfare, the awards banquet celebrating the accomplishments in EAAT, and of course the naming of the James Brady Professional Achievement Award winner. Don't miss a minute of it! Do you desire to learn from, brainstorm with and support other executive directors? Spend a day with other leaders, following an agenda of issues most important to you. There are still a handful of spots available. The Experienced Instructor Workshop on Wednesday, November 2, is now full. If you are interested in attending, contact Ashley Inghram with your name, phone number and member number to be added to a wait list. If there are any cancellations, Ashley will contact you to confirm your availability and payment information to add this workshop to your registration. PATH Intl. Members have posed some great questions about the process of applying for NCCA accreditation of the registered level instructor certification. You may have had similar questions. Please refer to the member Q & A page of the website and links to the Trek to Accreditation eNews. If you have questions that haven't yet been addressed, please use this feedback link and we'll add to the list. Thank you very much for all the feedback and interest in this process! 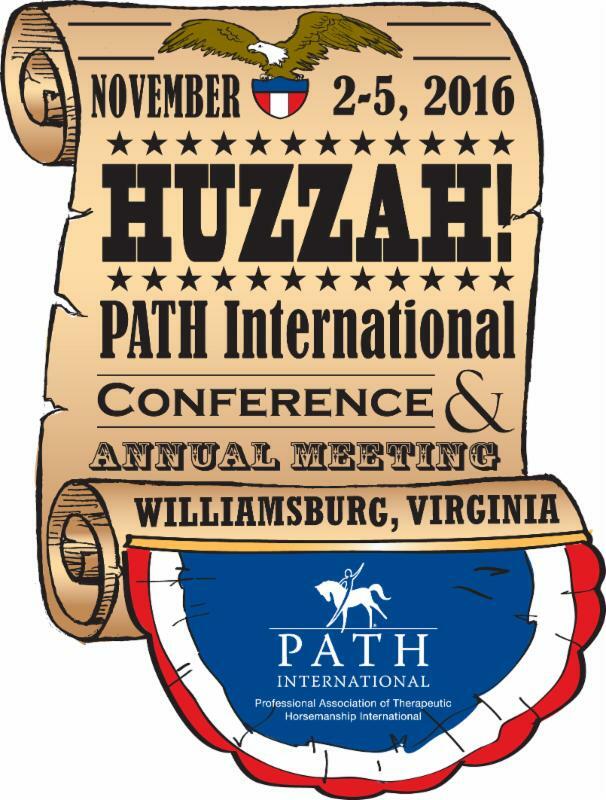 The deadline is approaching for members to vote for the 2016 PATH Intl. Board of Trustees and Membership Oversight Committee Representatives for Regions 2, 4, 6, 8 and 10. Thank you for the continued support of your association. 2. Call the PATH Intl. office at (800) 369-7433, and we will mail or fax you a ballot. Voting is open through September 30, 2016. Expand Your EAL Facilitation Skills and Grow Your Business With Help from E3A! The Equine Experiential Education Association (E3A) is an international professional membership organization that builds, delivers, and supports excellence in the field of Equine Assisted Learning. Our training and services are specific to practitioners interested in building their professional facilitation skills in the coaching, leadership, corporate and personal development fields (not therapy). If you are interested in building your facilitation skills and your EAL business, join us for our final Level 1 Certification class for 2016! The class will be offered October 20 - 26, 2016 in Kingsley, Pennsylvania. Click here for registration information. Have you ever led equine-assisted mental/behavioral health groups? Katy Schroeder, a doctoral candidate in Counseling at Oregon State University, invites you to participate in a cross-sectional survey about the delivery of equine-assisted therapeutic groups. The purpose of this IRB-approved dissertation study is to better understand characteristics of these types of groups and the practitioners' who lead them. Click here for the survey, and thank you for your time!